Residences of Gordon Woods Condos - Maziar Moini Broker Home Leader Realty Inc.
Residences of Gordon Woods Condos is a new condominium development by Edenshaw Homes currently in pre-construction located at 2120 Hurontario St, Mississauga in the Mineola neighbourhood with a 61/100 walk score and a 56/100 transit score. Residences of Gordon Woods Condos is designed by IBI Group. The project is 36 storeys tall and has a total of 594 suites. 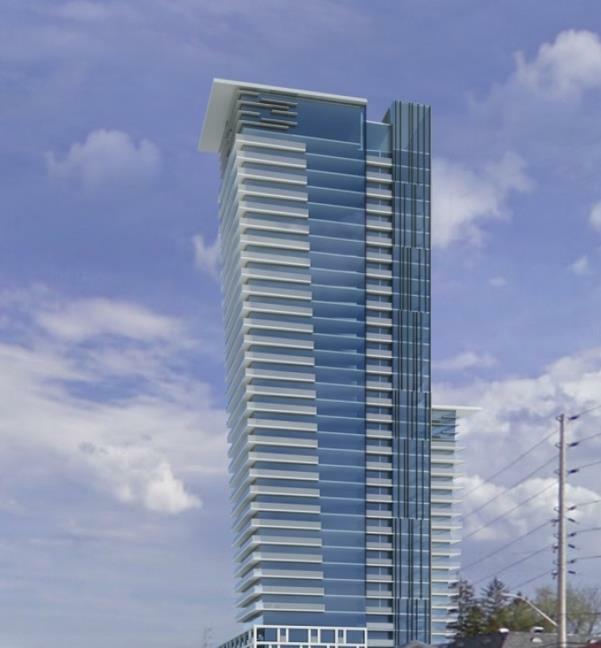 Residences of Gordon Woods Condos is currently in Registration Phase. 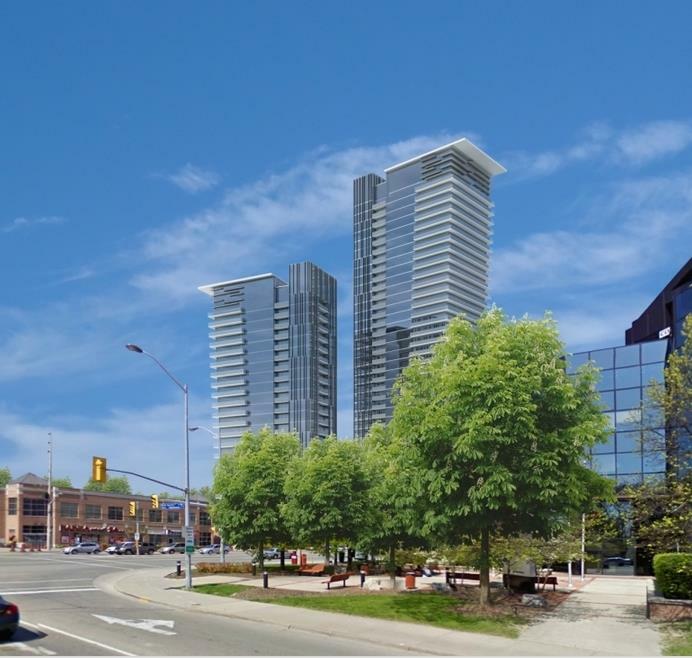 This mixed-use development is set to revitalize the Mississauga neighbourhood of Cooksville. With innovative architecture, a landscaped courtyard and podium with retail space and outdoor dining, This project, will bring a fresh change to the area, acting as a striking gateway to downtown Cooksville. Spearheaded by Edenshaw Developments, The Residences at Gordon Woods will be ready for occupancy in 2021. 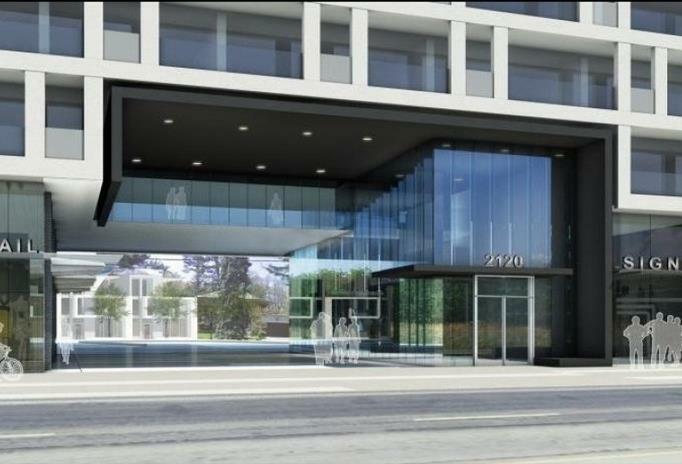 Situated at 2120 Hurontario Street, this project is in the middle of a quaint shopping district just north of the QEW. The proposal calls for two high-rises anchored by a podium, a block of three-storey townhomes and space for retail shops. The towers are proposed to stand 36 and 22 floors respectively, anchored by a six-storey podium, which will house retail units and a lobby. 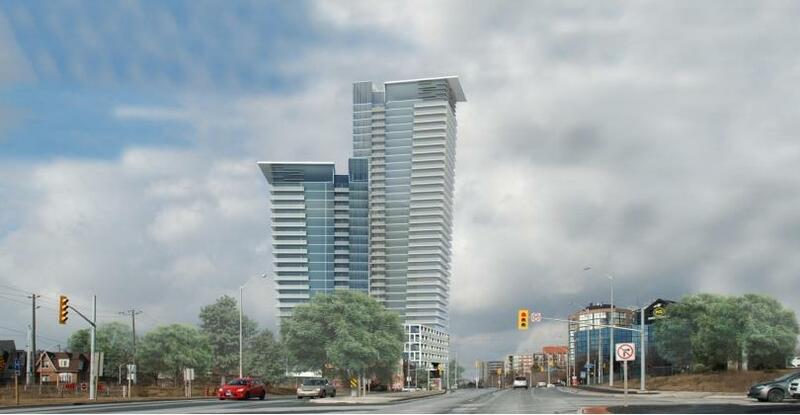 In a feat of architectural innovation, one of the condominium towers is designed to curve gracefully toward Hurontario Street as it rises, before being capped by a striking canopy element. The top portion of the tower is articulated by a series of glass fins that will be illuminated at night, forming a glamorous beacon that will be visible from a great distance. The other tower will be lower, but feature similar elements. In contrast to the glass-walled condominium structures, the podium is marked by a series of precast shapes, which provide a separation from the residential towers. On the seventh floor, A glass reveal contains amenity space for occupants of The Residences at Gordon Woods. The 3-storey townhomes will occupy the west side of the development, fronting Grange Drive, which has a quieter, more residential feel. Warm, yet modern, they are designed in a series of interlocking frames, which creates a playful geometrical façade. This nature of this design organically forms private balconies and terraces, a perfect oasis to enjoy your morning coffee while overlooking the neighbourhood. 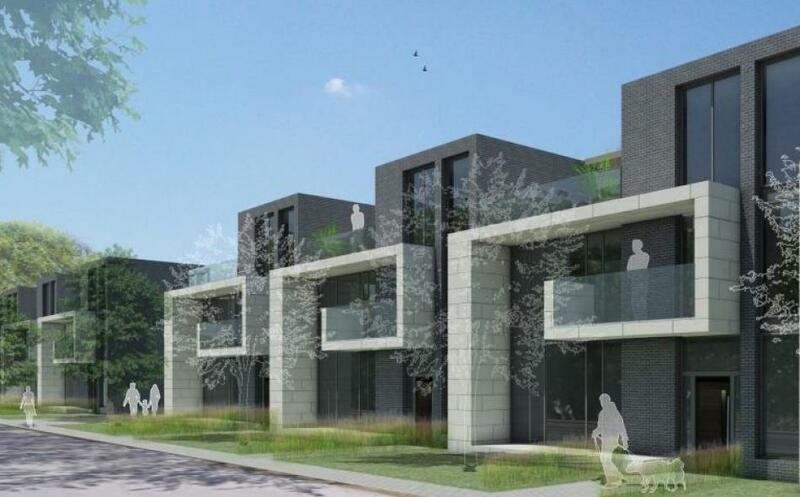 A landscaped courtyard will be accessed from Hurontario Street, forming an urban boulevard. This will create a pedestrian-friendly atmosphere with leafy trees, outdoor dining and access to both the retail units and the condominium lobby. The glass-walled lobby will be dramatically illuminated at night, providing another visual marker for the community and bringing life to the public realm at night. 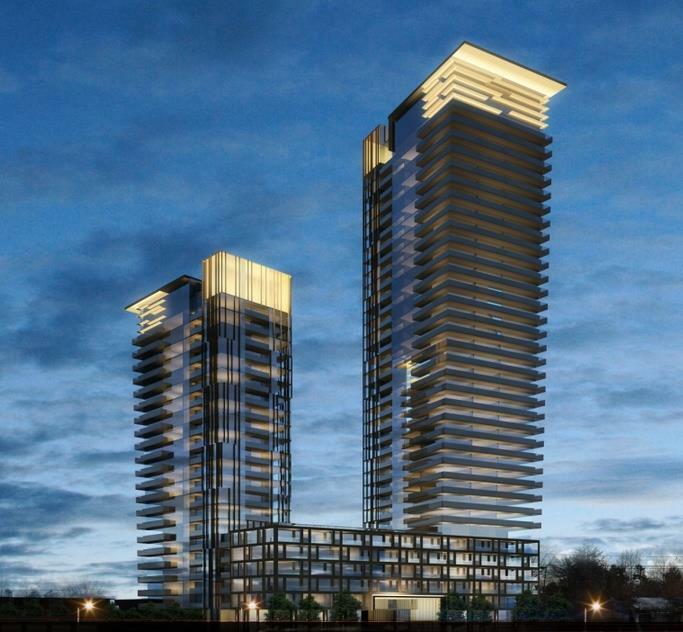 The Mississauga neighbourhood of Cooksville is poised for significant growth, and The Residences at Gordon Woods is designed to respond to that. Two major transit projects in the works give homes in this area an advantage. A Light Rail Transit system is slated for Hurontario Street in 2018, which will go through Mississauga’s city centre and connect with Square One. An LRT stop will be at the doorstep of Gordon Residences, a major perk for residents. Additionally, the site is a five-minute drive from the Cooksville GO Train station. Once the LRT is up and running it will connect with the station as well. Recently, the province of Ontario committed to increasing GO service to all-day, fifteen-minute intervals. As a result, homes in close proximity to GO stations are expected to increase in value. For drivers, the development is just north of the QEW, which makes getting around the GTA easy and efficient. With reputable schools and post-secondary institutions, a major hospital and an abundance of shops and urban amenities nearby, These condos are perfectly situated for a wide range of residents. Those who vibe with the growing urban energy of Mississauga will love living a short drive from Square One, an upscale shopping center that draws people from all over the GTA. With over 360 retailers – including high-end brands like Coach and Armani Exchange – the plaza also houses a Whole Foods, GoodLife Fitness and Cineplex Cinemas.